That’s the natural order of things, right? My school work increased, my extracurriculars took up more time, and then, once we all had our driver’s licenses, there wasn’t any value in getting places on two wheels. Eventually, my bike became a permanent fixture in the garage, sitting there collecting dust until I went to college. Times change. In my post-Florida years, I’ve never been all that fond of driving. After a brief stint with a car my senior year of college, I sold my vehicle. I’ve lived car-free for eight years now, relying solely on the power of my feet and public transit to get around town. Of course, I’ve always known biking was an option for me too. 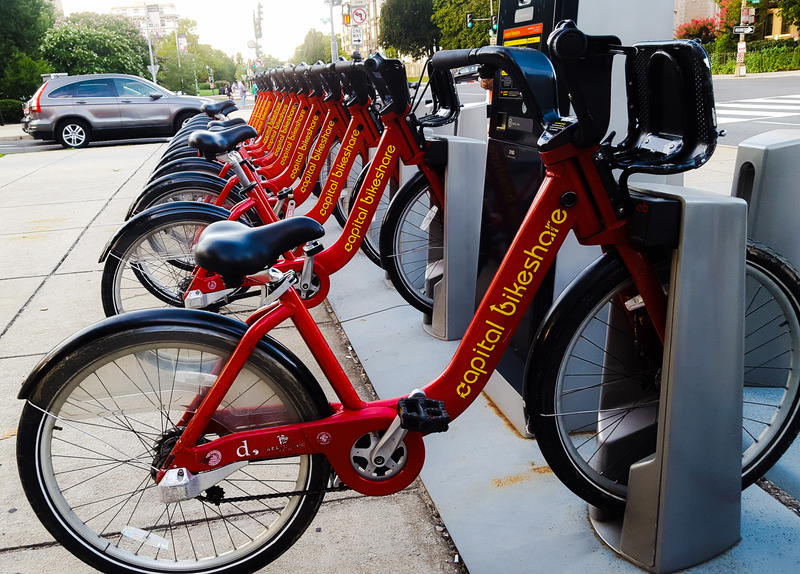 As bike lanes have improved and Capital Bikeshare has become a fixture in the District, I’ve started looking at bike commuters with more and more envy. It’s hard not to be jealous watching them fearlessly zoom down DC’s streets. I wanted to join their ranks, but I was too afraid. It’s no secret that I have a tendency to be risk adverse, and after witnessing my fair share of bike-on-car accidents in this city, the potential dangers kept me away. But I also really, really wanted to incorporate biking into my exercise routine. It had been at least 10 years since I was last on a bike. And the more seriously I thought about getting back on a two wheels, the harder it got to make the decision to start biking again. I needed a push to encourage me to give it a try. And then, I found one. There’s a group in DC called Jews on Bikes, and since I’m always trying to pay attention to what my local Jews are up to, I found out that there was an upcoming weekend Havdalah ride. I’m a Jew. Normally, I’m a Jew on foot. Theoretically, I could also be a Jew on a bike. Was this something I could do? I don’t own a bike, but I asked one of the organizers and found out that a lot of the less bike-savvy participants (people like me!) use CaBi bikes to participate. With that answer, I was sold. 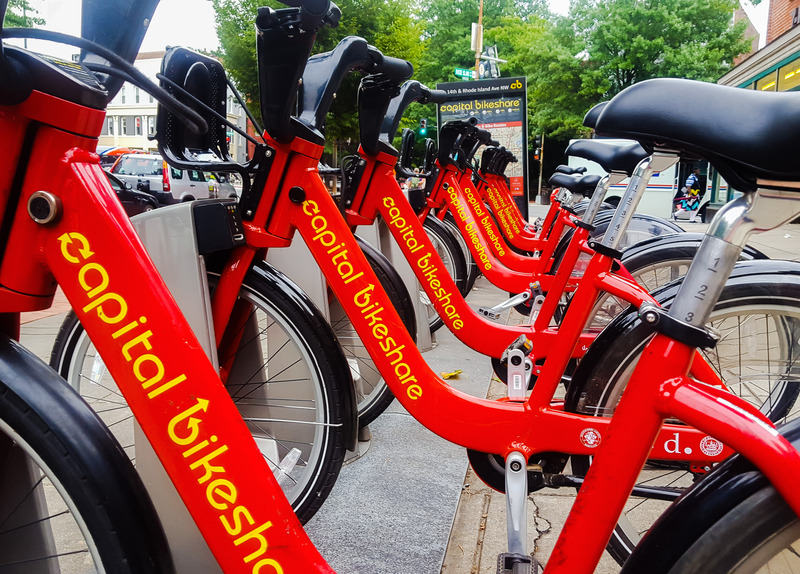 I’d thought about getting a Capital Bikeshare membership for years. 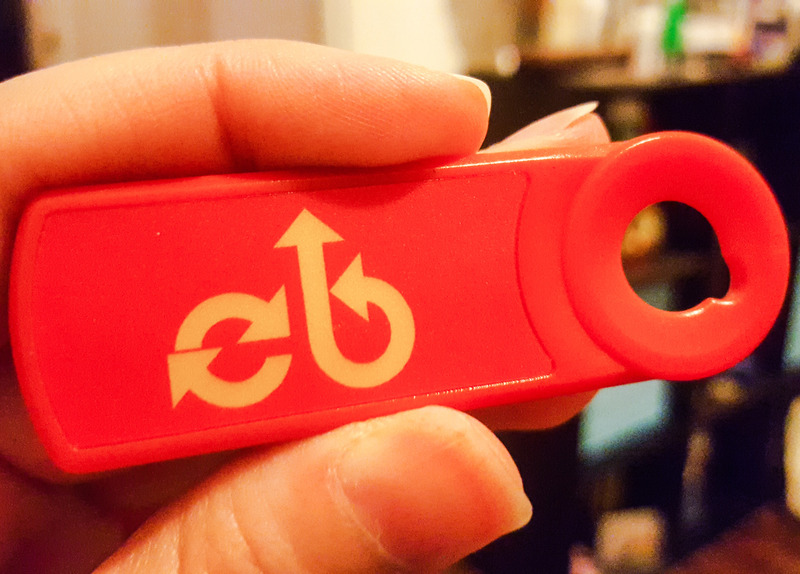 My friend Ted even lent me his CaBi key for a week five years ago, but due to my fears, I never took advantage of the opportunity to get on a bike. But now, I was done with this particular fear. It was time to start bike sharing. Once I was inspired, I wanted to sign up for CaBi and start biking immediately. However, before I could get started, I got crazy, terribly sick – so sick, I could barely function for two weeks. By the time I got better, it was the week of the ride, and I still hadn’t gone out for a single spin. 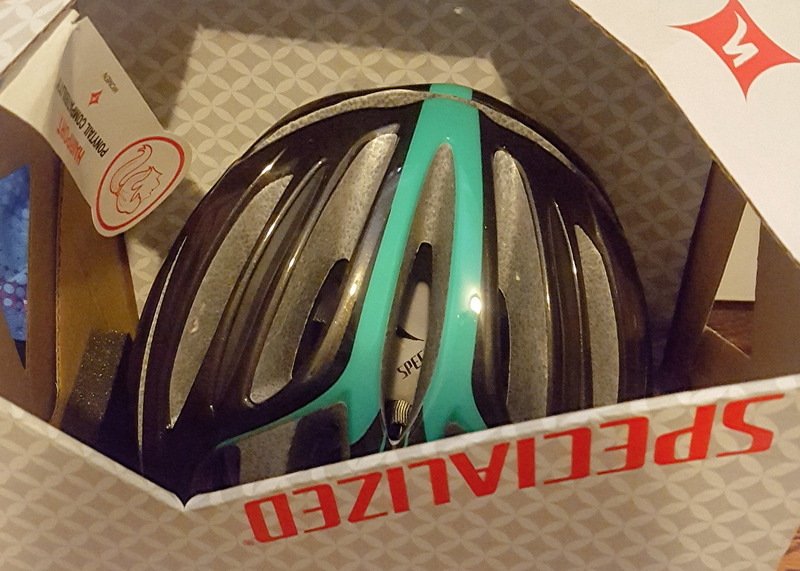 Honestly, and I’m not proud to admit this, I didn’t even manage to get to a store to purchase a helmet until the day before the bike ride. Whoops. I knew going out for my first ride at the Havdalah event would be a terrible, horrible, no good, very bad idea, but I’d run out of time. My only option was to take a last-minute outing the morning of the event. The next day dawned hot and bright, the perfect day to grab my helmet, bag, and sunscreen and make my first attempt at biking in years. 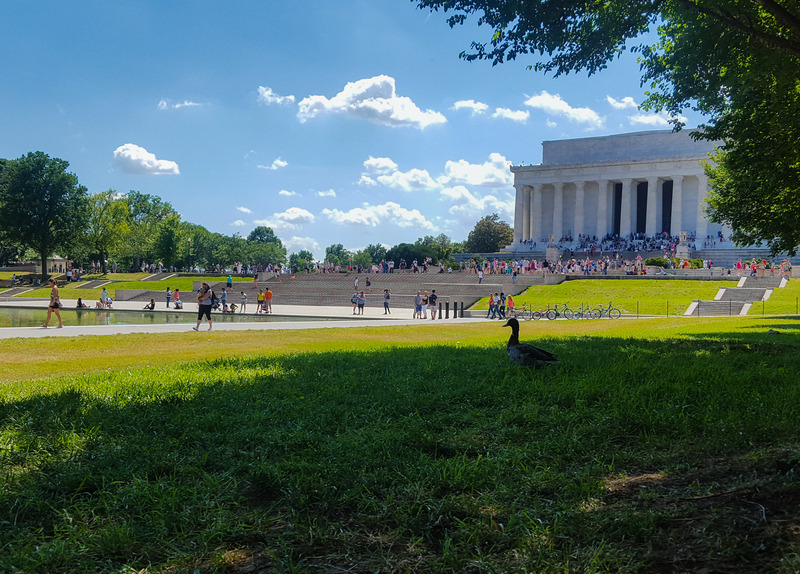 For my initial outing, I had a goal in mind – I was going to meet my roommate, Kim, and some of her friends at the Washington Monument for a food festival – a distance about five miles away from our place. It was kind of an ambitious goal, but I’m in good shape. If I can walk over 30 miles in a single day then I can do anything, right? On the off chance I was about to embarrass myself, I headed to a more remote CaBi Station where I could try to get on a bike in peace. 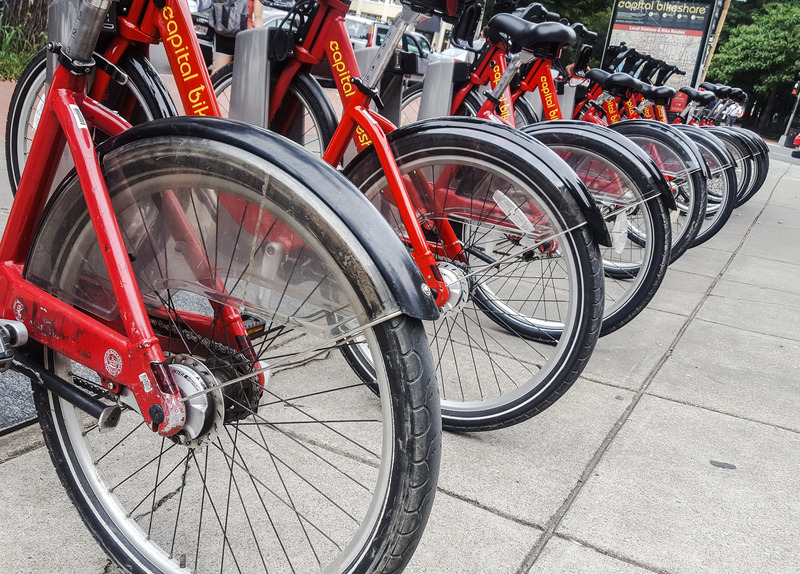 I should have checked my Bikeshare app in advance – there was only one bike left, and it was damaged. Plan thwarted, it looked like the nearest “remote” bike station was on Beach Drive near the Zoo. Sweating from the heat, I trekked my way down to Adams Mill Road only to discover that I’d miscalculated again. There was a huge family all grabbing bikes who, in my mind, were all ready to judge me as I failed to get on a bike. I did what I always do in these situations; I pretended I knew what I was doing and confidently grabbed a bike and hopped on. The overall effect probably would have been more impressive if I hadn’t proceeded to wobble my way across the street and into the Zoo. My first moments on the bike were pretty terrible. I moved unsteadily and had almost no control, but, true to my stubborn nature, I didn’t want to admit defeat and stop. I kept going, navigating my way out of the parking lot and onto Rock Creek Trail. Because it was midday, there weren’t a lot of people out on the trail. As I tried to find my balance, I had the freedom of the entire space to myself. After a few minutes, I started feeling pretty good, like maybe this was a thing I could do. It didn’t take long, though, for me to encounter problems. I was mostly steady on the bike, but when the first person passed me on the trail, I quickly realized that I was terrible at gauging the space both of us needed to stay on the path. If Rock Creek Trail were in great shape, this wouldn’t have been a big problem, I could have swerved off the trail and positioned my wheels safely in the dirt – crisis averted. However, this wasn’t the case. The asphalt sides of the trail are eroding, leaving a mini-road cliff of danger on either side. I didn’t know how to deal with this, so the first few times, I found myself coming to a full stop to allow for safe passing. Second challenge: I could not get myself up hills. I don’t know if it’s because I’m weak or if the CaBi bikes are just way too heavy, but I nearly pulled a lung trying to maneuver that bike up the first hill. Ultimately, I just gave up, hopped off the bike, and walked the thing up. Third challenge: every time another bike passed me from behind, I would get so startled that I would go all wobbly again. After the first mile, I started easing into it a bit. I still had a death grip the handlebars, I couldn’t remember which gear did what, and I spoke too timidly when I said “on your left,” but as I racked up miles, my confidence slowly increased. The rhythm of biking was coming back to me. Sure, it wasn’t the same easy confidence that I had as a kid, but I was doing marginally better. By the time I passed the second bridge after Woodley Park, I was sort of getting the hang of it. As someone who walks in Rock Creek Park regularly, there was something thrilling about watching the miles go by so quickly. I felt this unexpected joy at seeing distances that normally take me 15 – 20 minutes to cover sail by in less than 10. I just hadn’t accounted for how exhausting biking would be as an adult. By the time I hit the stretch of trail by the Kennedy Center, my stamina was giving out on me. I knew that I’d long since reached the point of no return on my journey, but I was so very tired and suddenly there were people everywhere for me to figure out how to avoid. Every part of me wanted to stop, get off the bike, and return to my old friend, walking. But I made a commitment. I set out to bike from the Zoo to the Washington Monument and, come hell or high water, I was going to do it! I made it to the intersection of Rock Creek Parkway and Ohio Drive by the skin of my teeth. My feet felt like weights, and I was panting with exhaustion. I knew if I didn’t make it to a CaBi station soon, I would flop into the street and get run over by a car. Luckily, there was a station located conveniently near me on Henry Bacon Drive. As I got off the bike and made a beeline to the station, I started to understand that I was in surprisingly bad shape. I shoved the bike onto the rack and on unsteady legs, I crossed the street and laid down on the grass near the Reflecting Pool. Everything was wrong. My legs were like rubber, my lower region garments were all out of whack, my hands ached, and I could barely catch my breath. And I still needed to get to the Washington Monument nearly a mile away. I passed out in the shade by the Reflecting Pool for a good 20 minutes, probably terrifying the tourists walking past me, before mustering up the strength to get up and make my way over to Kim and her friends. Once I was with them, it was clear that I was completely out of it. Still, I secretly thought that I was going to get a second wind and go out on the Havdalah ride. After sitting for a while and recharging on some delicious food, Kim and I headed back home via public transit. I took a shower, sat down on my bed, and did not move again. I honestly had every intention of getting up and at least going out to the bar for theHavdalah ride after party, but I was too drained to function. I closed my eyes and the next thing I knew, it was Sunday. I completely missed the event, but it wasn’t a total loss. As scared as I was for most of the bike ride, I came away from it with the confidence that this is something I can attempt again. The scariest obstacle was breaking a 10-year bike-free streak. Now that I’ve gotten over that hurdle, give me time and I’ll become biking unstoppable again. Good for you for getting out there! It gets better every time! I joined a cycling club and have been loving it- although it’s been too hot lately to ride- LOL! I’m hoping to come to DC in Oct and cycle around – although it’s been YEARS since I’ve been to DC so I am super nervous!!! According to people I know who really bike places, we’re getting much, much better with bike access. Not sure where you’re planning on riding, but they’re going to be starting road work next month along one of our big trails: https://www.washingtonpost.com/local/trafficandcommuting/beach-drive-rehabilitation-begins-next-month-will-close-busy-commuter-route/2016/08/03/c99633be-54da-11e6-88eb-7dda4e2f2aec_story.html. If you’re looking for trails or other things while you’re in town, let me know. I’m happy to send suggestions! Thanks for the info! I’m hoping to bike the whole GAP and C&O canal from Pittsburgh to DC and then cycle around to see the sights and monuments – then up to Fort Reno Park to visit the highest point of DC. Should be a nice trip- as long as the weather cooperates- thanks for the article I was gonna take Connecticut as one of my roads to get to the high point- looks like it’ll be really busy now!! Thanks so much for the heads up!!! That sounds amazing. If I ever get to a point where I can bike more than five miles, tackling the C&O Canal in the DC to Pittsburgh to DC direction is high on my list! Hmmm, now you’ve got me wondering. I haven’t broken out the bike for years, maybe I should check and see if I’ve still can ride the dang thing. Right? I just always assumed I could still do it. I can’t tell you how nerve-wracking I found those first few moments on the bike. I’m never letting that much time pass again!